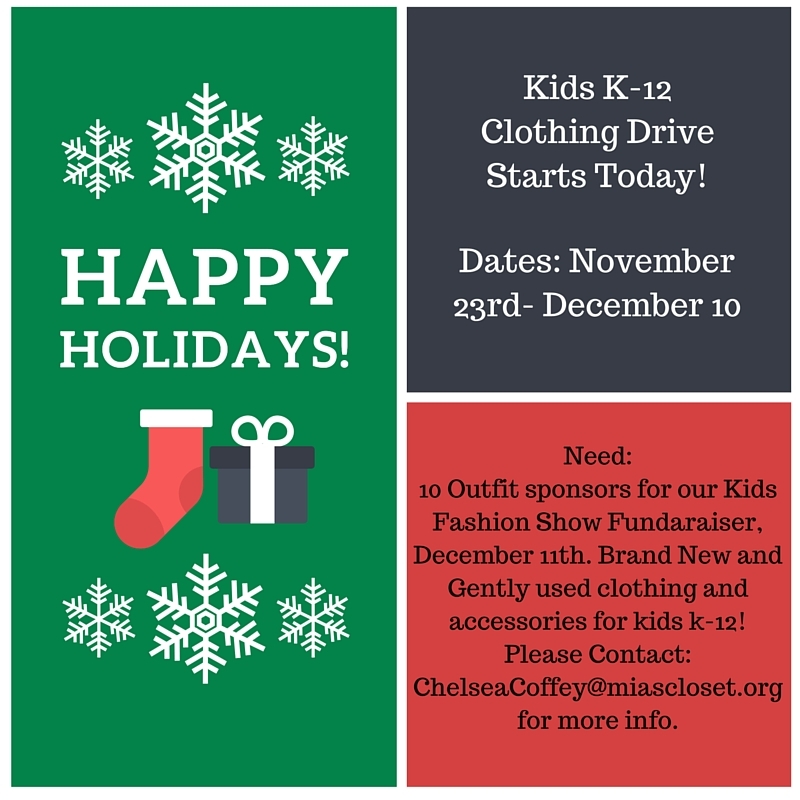 My name is Chelsea Coffey, and I am the founder of the nonprofit, Mia’s Closet. Over the last 4 years, we’ve had the pleasure creating confidence building experiences through shopping days and workshops for over 4,500 hundred underserved kids k-12. As much as I love the work we do throughout the year, we’re coming to a crossroads financially and need to make fundraising as much of a priority as our events for the kids to be able to continue to play an active role in creating change for the better in the communities we serve. Hopefully, we’ve come up with a perfect pairing to be a blessing, and raise funds at the same time; a kids fashion show for the holidays! We are matching 10 kids with their very own stylist/mentor who will help them pull a look, walk the runway, and give them a super-sized boost in self-esteem along the way! Our goal is to raise $5,000 dollars to develop new programs, workshops and digital content. More info about that here. Thank you in advance for your support. We’re stronger together! Mia’s Closet: Building confidence in the lives of kids k-12 one outfit at a time. « Celebrate with Mia’s Closet this Saturday: Aces of Taste #GetBrunchGiveBack!